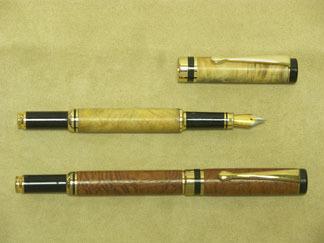 Patterned after the famous classic Parker Style Fountain pens of the 1920's, these kits are offered in several styles and finishes. 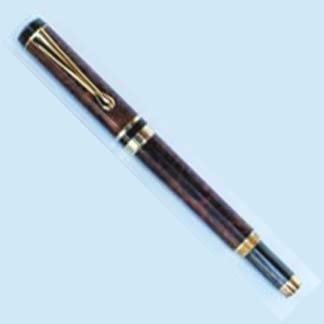 The most popular pen is the Ameroclassic™ Double Twist Pen with its accompanying Pencil. 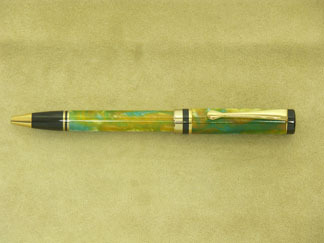 The HUT Products™ exclusive center ring of the Laurel Wreath makes a most distinctive Rollerball or Fountain Pen. 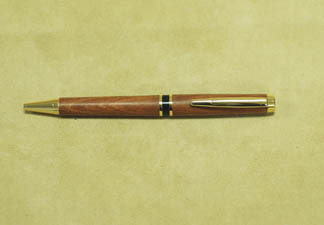 For those who may like a click pen, the Ameroclassic™ Click Pen is handsome and easy to use. 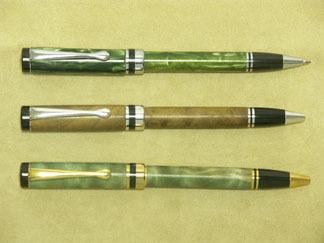 The Ameroclassic™ Rollerball and Fountain Pens come with snap caps or screw caps. 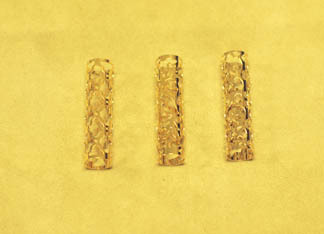 The metal lacework of the Filigree comes in both Upgrade 24k Gold and Chrome. The Strealmline Pen is a sleek looking pen with the solid feel of the Ameroclassic™. 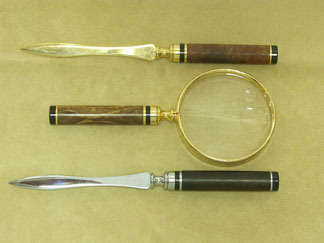 Accessories include 3 different types of Letter Openers and two styles of Magnifying Glasses.